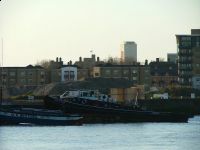 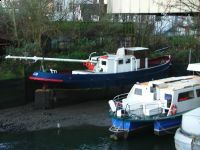 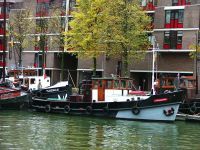 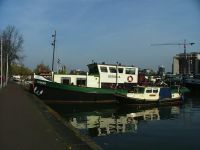 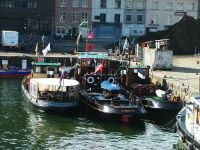 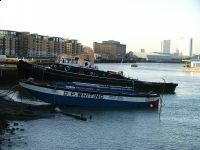 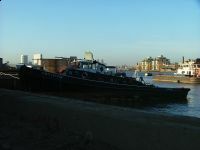 The Cob was built in 1917 and had been used as a yard tug most of her lifetime before becoming a houseboat in London. 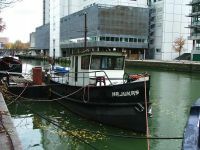 Sank in the 90's in Ghent, was raised and loaded aboard the spits barge Santa Rita. 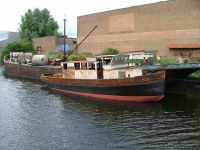 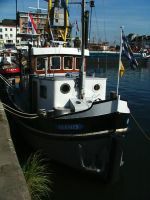 She was restored and floated again in 2003. 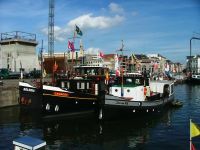 The Havendienst is part of the Rotterdamse Scheepvaart Museum. 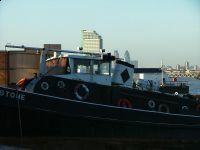 The Kent was built in 1948 for J.P. Knight.